Split into two distinct parts, the latest volume of Lingua Romana inaugurates something new for the journal. 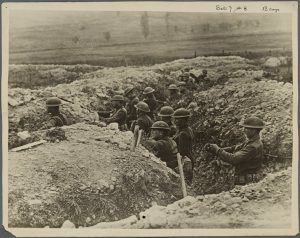 Centered on the theme “France and the Memory of the Great War,” the first section is a celebration of World War I’s armistice centennial, while the second is an exploration of Dante’s influence in public humanities. PROVO, Utah (November 12, 2018)—You could say the publication of Lingua Romana’s thirteenth volume is doubly exciting. In addition to a special issue commemorating the Great War centennial, the journal’s latest volume includes the first segment of an integral series focused on “Public Humanities and Academic Outreach.” From this point forward, the annual journal will include a second section focused on a topic in the humanities that the magazine’s contributors believe is pertinent to the general public. This year, the segment highlights Dante and features three articles by Daniel E. Christian, recipient of the prestigious 2017 Robert M. Durling Prize from the Dante Society of America. Christian—a long-time literature teacher at Gilman School in Baltimore—also gave a corresponding lecture on campus on October 11. First published in 2002, Lingua Romana is a journal of French, Italian, and Romanian studies spearheaded by the BYU Department of French & Italian. According to the publication’s current editor-in-chief, associate professor of French Robert J. Hudson, Lingua Romana is a play on the post-Roman lingua franca, or a common language, from which Romance Languages eventually derived. Over the years, the editors chose to formalize the objectives of the journal by limiting the publication’s scope to the Latin-derived languages of French, Italian, and Romanian. While the journal’s French and Italian elements are obviously reflective of its departmental origins, Lingua Romana is unique in its inclusion of Romanian, which is an underrepresented Romance language. It remains to be seen, Hudson said, if Lingua Romana’s editorial board will seek to connect the journal’s constituent sections with an overarching theme in the future. This new volume did not pan out that way: the subject matter of its first and second sections is separated by a few centuries. Nevertheless, both sections contribute to a broader conversation about the indispensability and real-world applicability of humanistic study.